Institute Management System Software is a complete suite of applications that permits you to automate all aspects of the administration of institutes. Institute Software helps you to capture, manipulate and present student data in a meaningful manner, generating fast reports automatically. Institute Management Software centralizes the data and automates institute administration, thus meeting the communication and information needs of the entire Institute in real time. Due to our vast experience of institute management software, we deliver the best modules with great reliability and comfort level of our customers. With a very high level of security and functional models, this is the best and easy to use software for all types of institutes. Advanta Rapid ERP is based on a single secure database structure that organizes, stores and retrieves real-time information. It is very intuitive and uses industry-standard interfaces so that you need not provide any special training to your staff. By automating the administrative tasks of your institute, Advanta Rapid ERP helps in the day to day administration of the institution and improves efficiency in working. A large number of educational institutions have already reaped the benefits of Institute Management System. 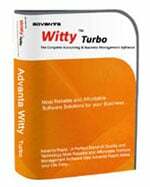 Advanta Rapid ERP is not only a good institute management system. But it’s also very good school management software and college management system. This Institute Management Software is a product by Advanta Innovations, a leader in business accounting software, inventory management software, invoice printing system and institute management system software, and a long track record in solid product development & marketing. Advanta Rapid ERP has been already liked by a large number of clients and has won rave reviews, and media attention, mainly due to its simplicity of use and vast features and benefits it offers. Our rich domain experience ensures a reliable product and smooth implementation. We have a state of art development lab and provide customer support through email, telephone, live chat, online and remote desktop. Our prompt customer support team is always ready to serve all types of queries by you. Need more information on Institute Administration System? 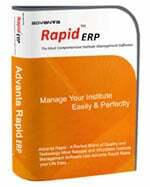 Contact us for a free demonstration of our Institute Management System Advanta Rapid ERP. We are 100% sure that you will be impressed by its features, flexibility and ease of use! !